Italy’s biggest event of 2015, the World Expo, is set to begin in less than a month – May 1 – in Milan. The theme for the Expo, which continues until October 31, is “Feeding the planet. Energy for life” and focuses on nutrition, sustainability, and fighting hunger. 144 countries are set to participate, with a record 53 single-nation pavilions. The 40-million-euro Italian pavilion will showcase Italy’s culinary delights, as well as its cutting-edge technologies in different fields. A copy of Michelangelo's iconic statue of David will be placed at the center of the pavilion, welcoming visitors as a symbol of Italian art and genius. If you’re headed to the Expo, make sure you leave some time to explore Milan, a cosmopolitan city too often overlooked, boasting great art and architecture (think Duomo and The Last Supper), unrivaled fashion shopping and a vibrant nightlife. 1. Duomo. 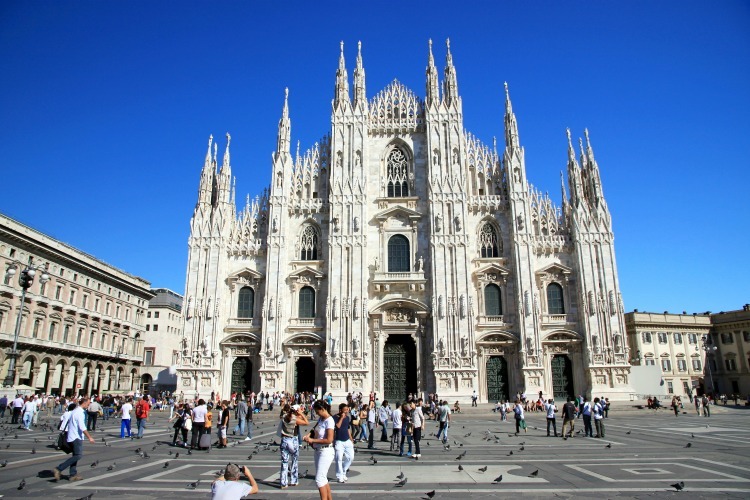 The third largest Gothic cathedral in the world, the Duomo is the symbol of Milan. Located in the heart of the city, it dominates Piazza del Duomo and is an impressive sight as you emerge from the underground metro stop. Construction of the Duomo began in 1386 and took almost six hundred years to complete. Climb up to the terrace (the entrance is to the left of the church) to take in both the intricate architecture of statues, pinnacles, spires and gargoyles, and a great view of the city, extending to the Po Valley and the Alps on clear days. On top of the main spire at 108 meters is the gilded statue of the Madonnina, to whom the Duomo is dedicated. 2. The Last Supper. Leonardo da Vinci’s world-famous masterpiece is located inside the refectory of Santa Maria delle Grazie. Painted between 1494 and 1498, it was commissioned to the Renaissance genius by the Duke of Milan, Ludovico Sforza. It still evokes a sense of mystery, enhanced by the numerous references in contemporary books and movies. Because of the new technique Leonardo chose to employ, painting on a dry wall rather than wet plaster, it has been very difficult to preserve this artwork. To keep it at room temperature, a maximum of 25 people can enter the refectory at a time (every 15 minutes). Advance reservations required. 3. Brera neighborhood. 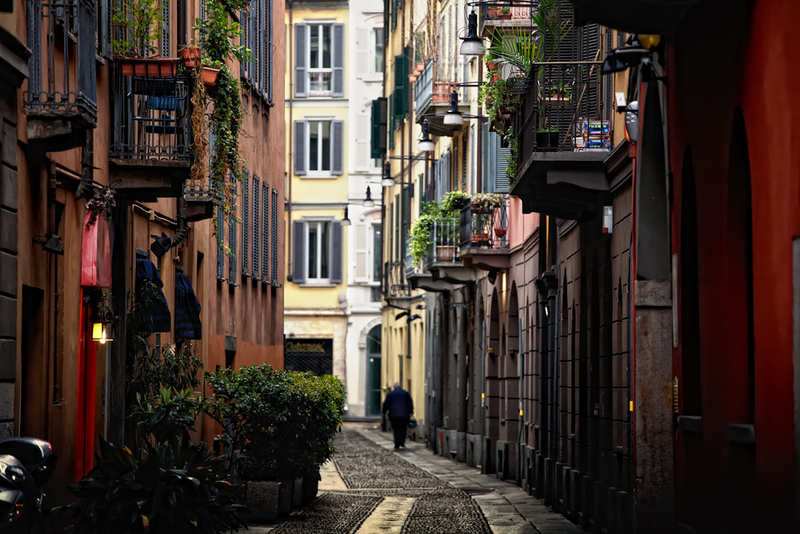 Centered around Via Brera, this neighborhood in the historical center of Milan has a distinct bohemian and artsy feel, which has given it the nickname of “Milanese Montmartre”. Stroll along the picturesque streets lined with independent boutiques and art galleries. While you’re there, visit the Pinacoteca di Brera gallery, located in Palazzo Brera, to see the impressive collection of masterpieces by Raphael, Piero della Francesca, Titian and Andrea Mantegna, among others. Stop for lunch at one of the neighborhood restaurants. 4. Castello Sforzesco. From Brera, walk to the imposing Castello Sforzesco, the castle built by the Duke of Milan, Gian Galeazzo Visconti, in 1358. Following later renovations and enlargements, it became one of the largest citadels in Europe during the 16th and 17th centuries. Today, it houses many of the city’s museums and art collections, including the Pinacoteca and the Museum of Ancient Art, where you can admire Michelangelo’s last sculpture, the Rondanini Pietà. Once you’re done visiting the castle, walk through the courtyard to reach Parco Sempione just behind the complex, one of the largest parks in the city, created on the former parade grounds. 5. Navigli. 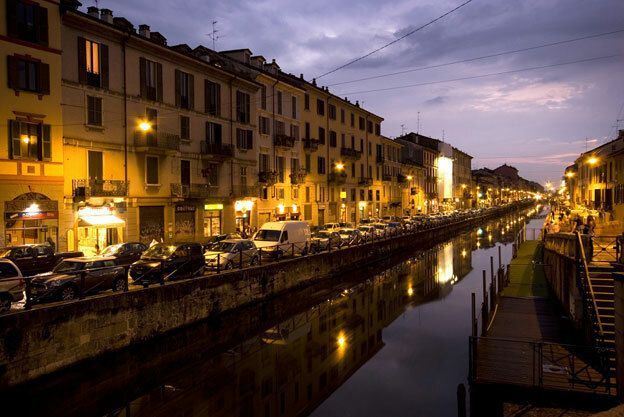 If you want to experience Milan’s nightlife like a local, head to the Navigli. One of the city's liveliest nightlife areas, the Navigli offers a seemingly endless array of restaurants and bars open late into the night. Originally, the Navigli was a system of five canals for the transportation of goods, connecting Milan to the lakes north of the city. Only two are still exposed, the Naviglio Grande, which offers boat tours in the summer, and Naviglio Pavese. Right along their banks is where you’ll find many great places for aperitivo, dinner or drinks. One last thing! A visit to Italy’s fashion capital would not be complete without a stop in the Quadrilatero della Moda (“Fashion Quad”), where you will find the boutiques and showrooms of legendary Italian and international designers — think Gucci, Dolce & Gabbana, Prada, Armani, Bulgari, Louis Vuitton, Chanel and many more. The area is framed by four streets, Via Montenapoleone (the most elegant - and expensive - street in Milan), Via della Spiga, Via Manzoni and Via Sant’Andrea; even if too expensive for your wallet, it will be fun just to walk around. For the latest about Expo 2015, check out the website.